Spend some time researching what the company you are applying to is all about. What if the interviewer asks you what your opinions are about their company, and you just quietly sit there, not knowing how to answer the question because you failed to look them up online before the day of your interview? If you want to show your potential employers that you really want to work for them, you have to invest the time and effort to find out as much about them as you can. Learn what products and services they offer, what their objectives and goals are, who their competitors are, and so on. Talk about why you are the best candidate for the position. The interviewer will ask you what qualities you possess that make you the right person for the job. Do not hesitate to enumerate all of your selling points. Be ready to expound on them to paint a clear picture of what the company may miss out on if they pass on you. You can talk about your educational background and previous work experiences that are related to their industry, your communication and people skills, and others. Look up what the common job interview questions are. Before the big day, you can go through as many of them as you want, and rehearse how you will answer. Think of questions that you want to ask the interviewer. It is normal to feel nervous during a job interview. However, if it comes to a point where you are so rattled that you cannot form a coherent sentence or keep stumbling on your words, you might have to say goodbye to your dream job right then and there. Thus, it is crucial to practice to work and improve on your interview skills. You can stand in front of the mirror to see what you look like when you are talking. Take note of your facial expressions, your hand gestures, and your body language. You should observe good posture, make eye contact with the person you are talking to, and minimize your bodily movements. If you have a friend or family member who can roleplay as the interviewer, the better. That way, they can give you pointers to help you improve. Even before opening your mouth, you are already making an impression to the interviewer via the clothes that you choose to wear for the meeting. The right kind of clothes to wear depends on the company’s dress code, but it is generally a well-tailored suit that should be clean, pressed, and comfortable, along with an earth-tone tie, and newly-polished leather shoes. Bring a pen, a notepad, and copies of your resume. 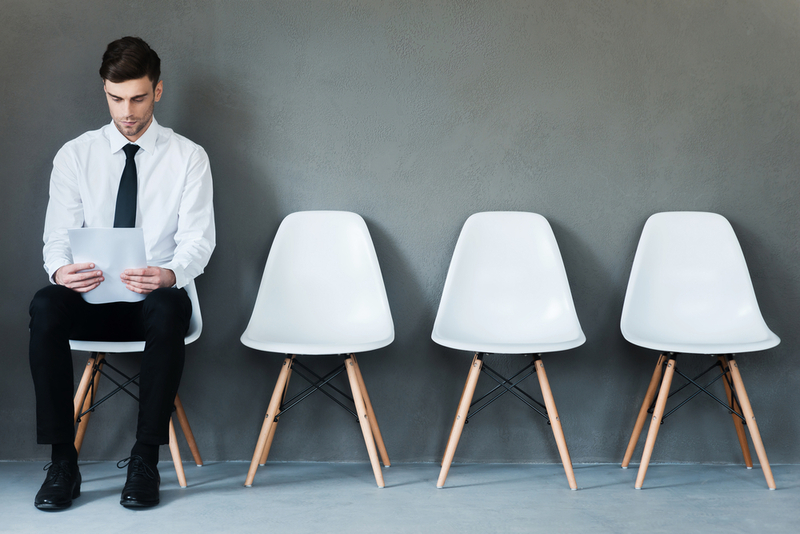 Even though the interviewer has probably already seen your resume, it does not hurt to have a few copies with you in case they left their copy in their office. Also, during the interview, you might have to take notes regarding your position, the company, or the details for a follow-up interview. Just make sure to not spend too much time looking on your notes. Always make eye contact as much as you can to show that you are listening and interested. If your interview is scheduled at 8 am, be at the place at least 10 minutes before that. You can use the extra time to go to the washroom, freshen up, and prep yourself for the main event. Learn how to properly handshake. 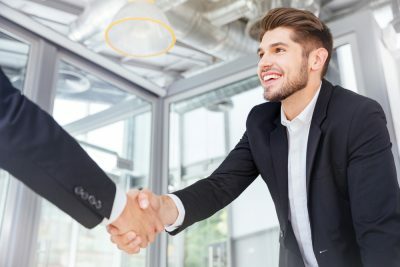 When you meet the interviewer, you have to give them a good, firm handshake. Look them in the eye and give them a smile. Hold their hand for about five seconds, and then let go. Avoid shaking their hand up and down multiple times, as that is quite annoying. Do not hold on to their hand for longer than five seconds, as that is just weird. And, make sure that your hands are clean, not sweaty nor greasy. Make a positive impression right from the start. 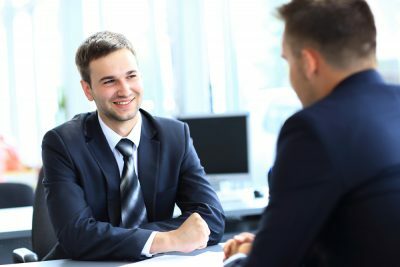 Many studies have found that interviewers come to the decision that they want to hire someone for the job during the first five minutes of them interacting with the candidate. The rest of the interview time is basically just verifying and confirming that they are making the right decision. Thus, you have to be at your best right as you step into that room. Tell them that you have been looking forward to that day, express your enthusiasm about the opportunity of being considered for the job, and show that you are grateful for their time. Also, try to drop positive comments about the company here and there to let them know that you have done your research and that you are ready and willing to be a part of the team.